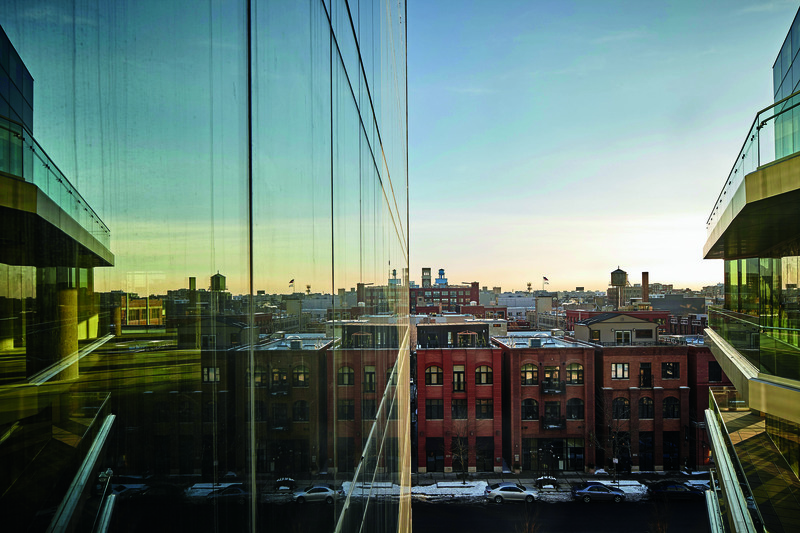 1K Fulton’s conversion from a 1920’s industrial building into a first-class creative office environment and retail destination is spurring Chicago’s Fulton Market district’s transformation into a nexus of high-tech commercial, retail and hospitality. 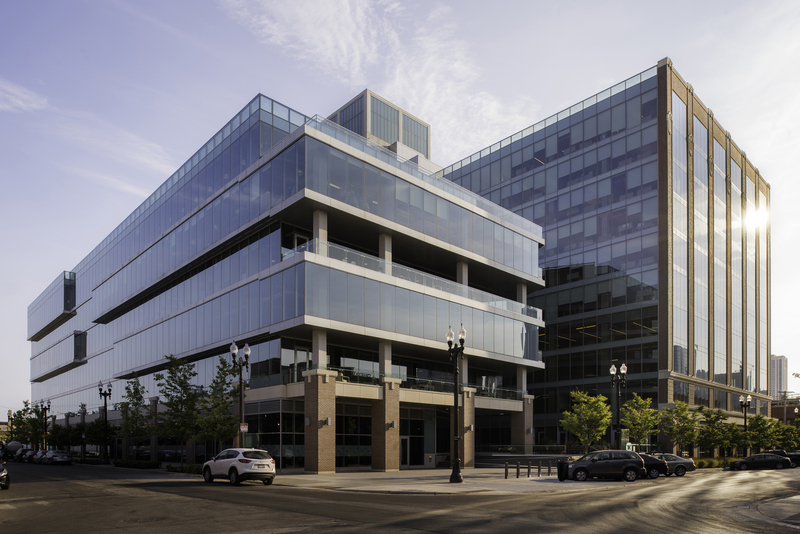 The project involved the adaptive reuse of the 10-story, 380,000 SF Fulton Cold Storage Building concrete loft building, and new construction of a six-story, 155,000 SF contemporary annex. 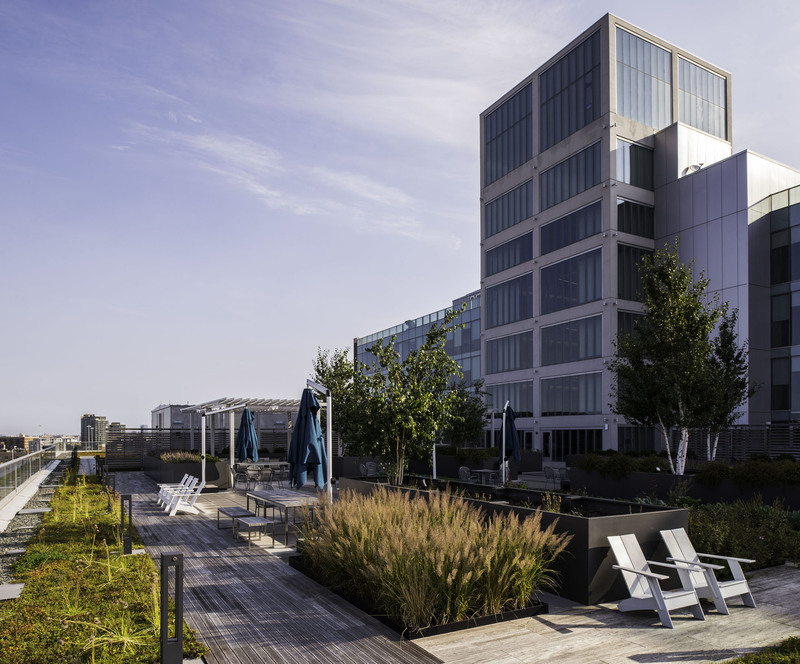 The LEED Gold certified development features a large outdoor courtyard, a fitness center and lounge area, and an urban rooftop terrace. 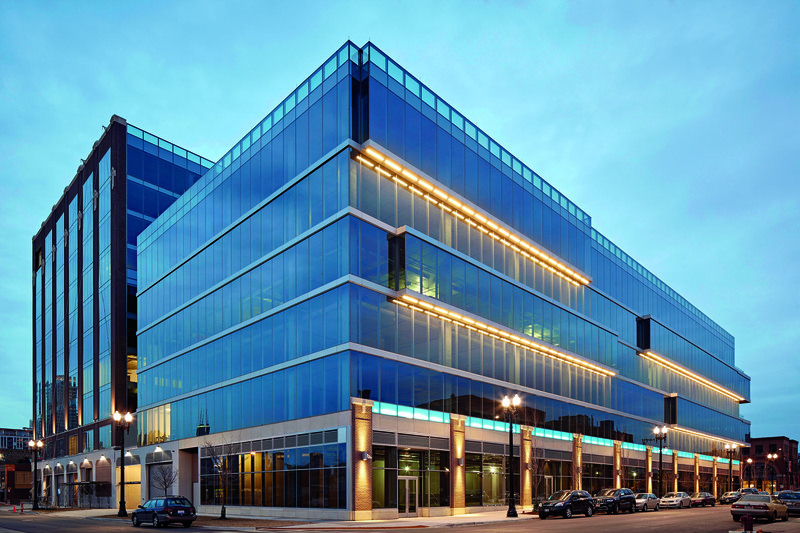 The concrete shell of the existing building was reused in its entirety, and re-clad with a new masonry façade. 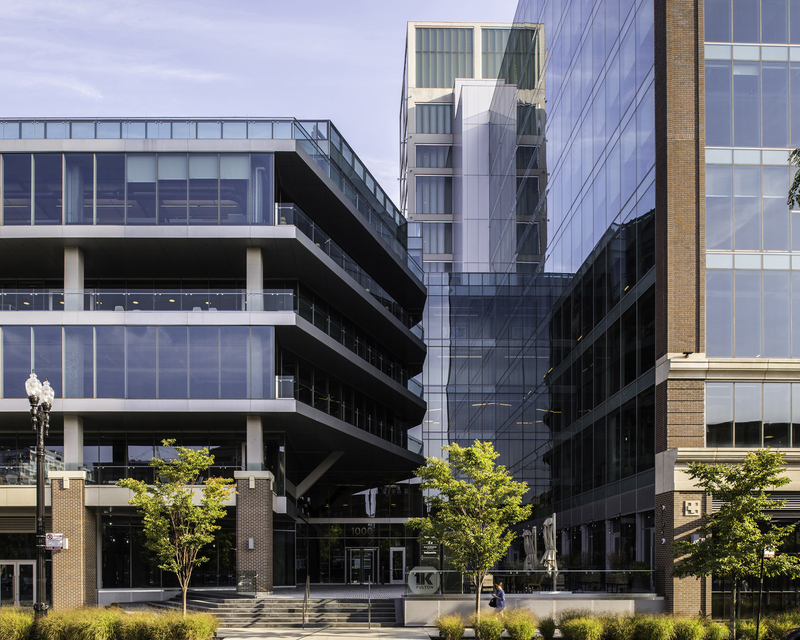 As a metaphorical cross-section “slice” through the cold-storage building that reveals the ice within, a full curtain wall along the west elevation lends interior views of the original columns. 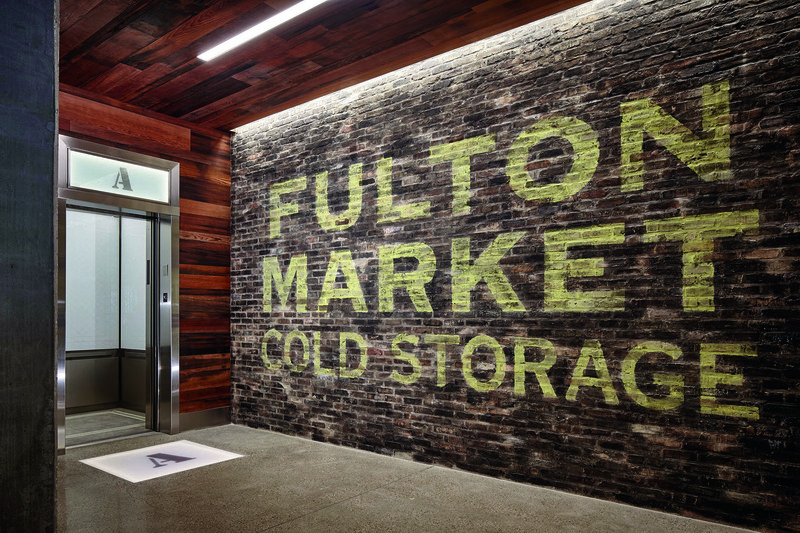 The interior design of the Fulton Street lobby reflects the vernacular of the 1K Fulton’s industrial history, with a bespoke reception desk fabricated out of pallet wood. 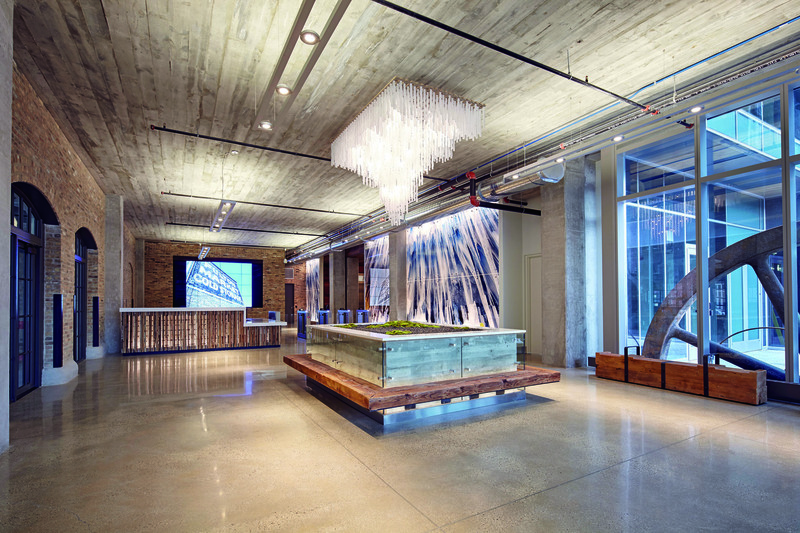 An ice motif is literally depicted in art-glass images of the building’s ice sculptures, and figuratively referenced in a custom chandelier that intimates stalactites.